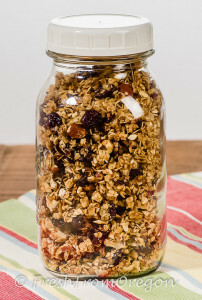 Once you have made and tasted homemade granola you will never buy store bought again. This is the BEST homemade granola recipe and so easy to make. 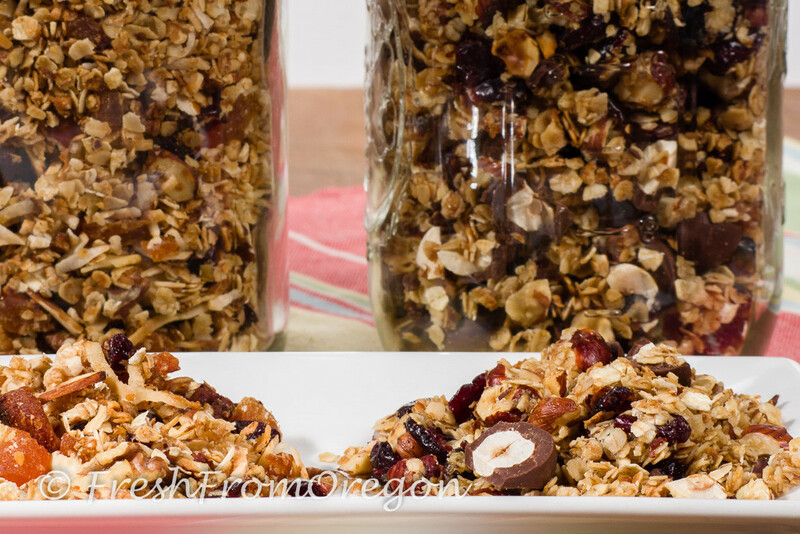 The basic granola recipe combines quick rolled oats, coconut and wheat germ. You then add your favorite nuts and dried fruit, a honey mixture, toss and bake for 30 minutes, it’s that simple. 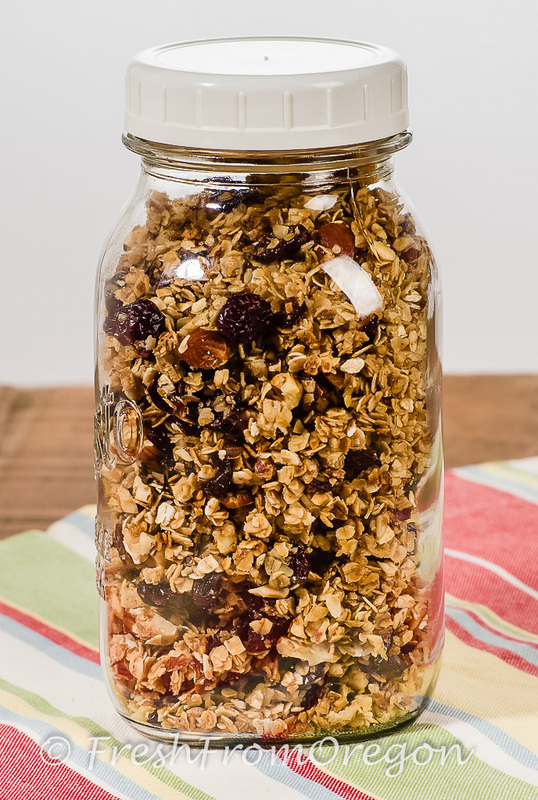 Granola is perfect topped on yogurt, layered in a parfait or mixed in your favorite pancake recipe. I store it in glass canning jars and have in my kitchen ready just to grab as a snack. Preheat oven 250 degrees. In large bowl combine the rolled oats, coconut, wheat germ, nuts and dried fruits and toss to combine. In small microwave safe bowl combine the oil, honey and vanilla and microwave for 1 minute. Stir honey mixture into dry ingredients and mix well. Spread mixture onto two greased baking pans. Place in oven for 30 minutes, stirring every 10 minutes. Cool on rack and store in airtight container. Preheat oven 250 degrees. 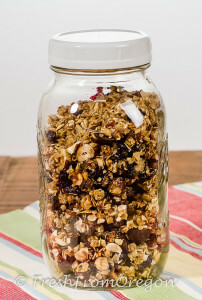 In large bowl combine the rolled oats, wheat germ, hazelnuts and dried cranberries and toss to combine. In small microwave safe bowl combine the oil, honey and vanilla and microwave for 1 minute. Stir honey mixture into dry ingredients and mix well. Spread mixture onto two greased baking pans. Place in oven for 30 minutes, stirring every 10 minutes. Cool on rack and store in airtight container. 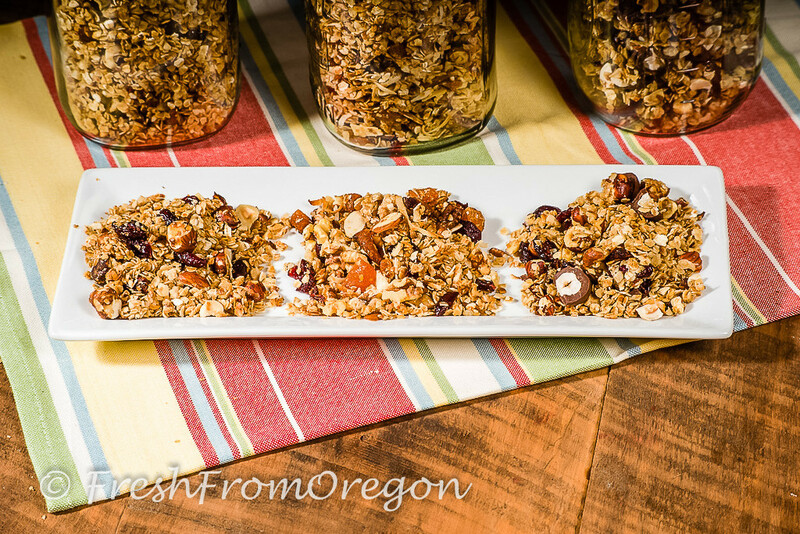 Once the Pacific Northwest Granola is cool you can add some chopped chocolate covered hazelnuts to give the granola another layer of flavor. The apples here in Oregon are 2-3 weeks early this year which means 2-3 more weeks of fresh apple pies in my house. 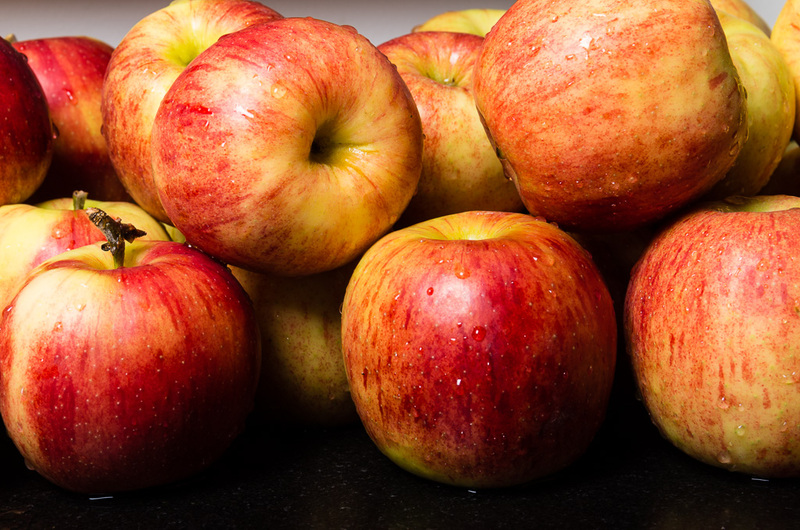 Some of my favorite apples that are ready now are Jonagold and Honeycrisp, both these apples make a great apple pie, especially a Dutch Apple Pie! To make the recipe below you will need to get 4-5 medium apples but looking at this years crop they are so much bigger 4 apples might do the job. 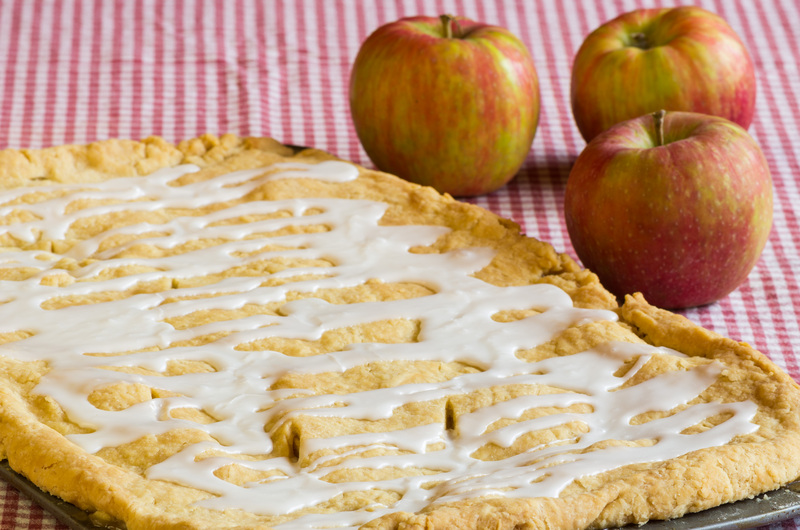 So what is this Dutch apple pie? 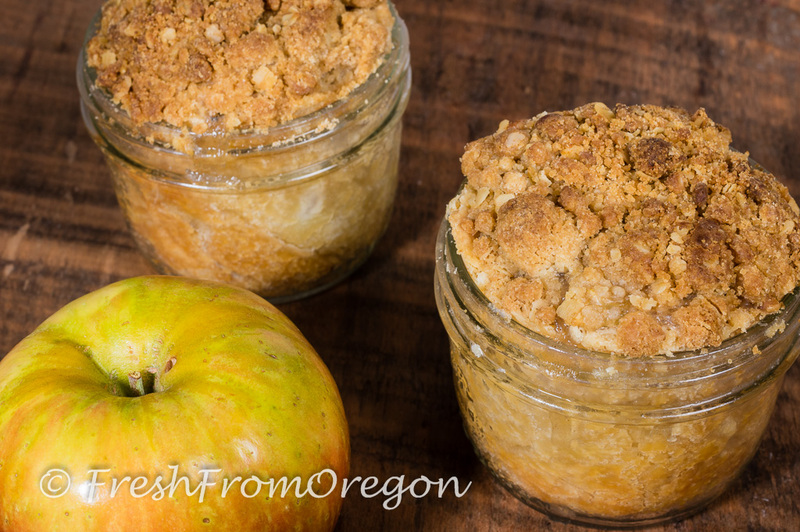 It is an apple pie with a traditional dough bottom crust but topped with a crumb topping of oats and cinnamon. I added some extra flavor to my topping and used one of Bob’s Red Mill NEW Oatmeal cups in my topping. One oatmeal cup contains the perfect amount I needed for my topping. The Oatmeal cup I used also has maple added giving these pies an extra layer of flavor and the addition of flax and chia seeds makes it even more nutritious and filling. Check your local market for these new cups available in 4 flavors or order online direct from Bob’s Red Mill. Prepare pie crust and refrigerate for 30 minutes. In a large bowl, combine the flour, brown sugar, Bob’s Red Mill GF Brown Sugar and Maple Oatmeal cup and butter; set aside. For filling, combine the sugar, cornstarch and water in a large saucepan until smooth; bring to a boil. Cook and stir for 2 minutes or until thickened. Remove from the heat; stir in apples and vanilla. To assemble spray each glass jar lightly with cooking spray. Take the pie crust (you only need half of the full recipe) and divide into 8 equal pieces. Roll each piece into about a 6-inch circle. 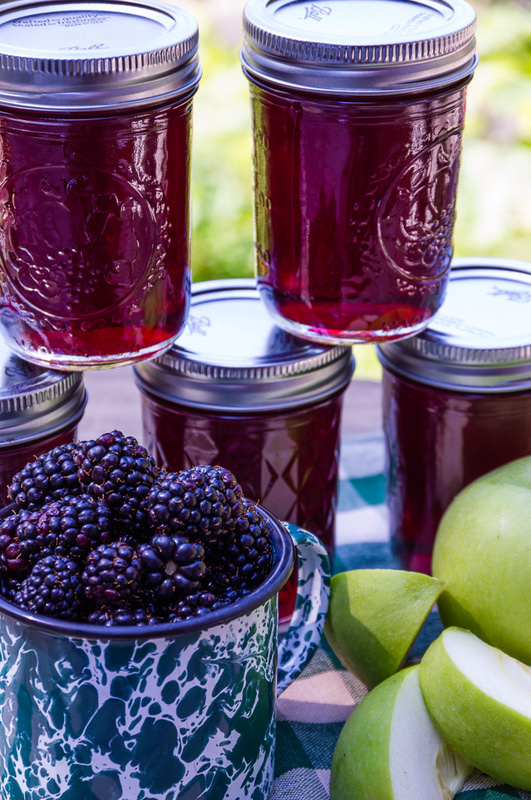 Place each piece into the prepared glass canning jar and press into the sides and bottom of the jars up to the top edge of each jar. If you want to make one big pie just roll the dough out to fit an 9-inch pie plate. Spoon apple pie filling into each crust; top with the crumb topping mixture. Bake at 350° for 1 hour. At 30-45 minutes check to see if the topping is brown if so, lightly lay a piece of foil over the top of the pies the last 15-30 minutes. Cool on a wire rack. Yield: 8 servings. Did they just call my name? 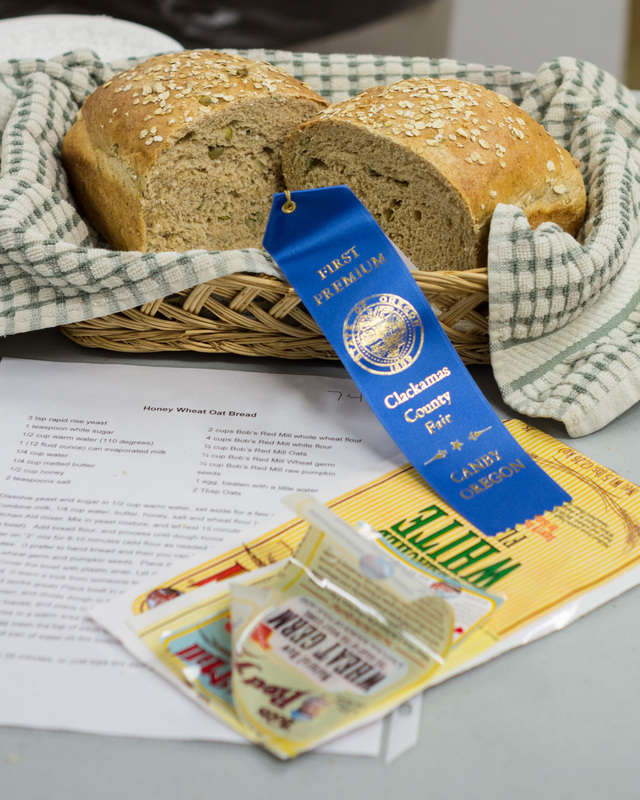 Looking at my husband’s face I knew I won 1st place in the Bob’s Red Mill Bread contest at the 2012 Clackamas Fair. 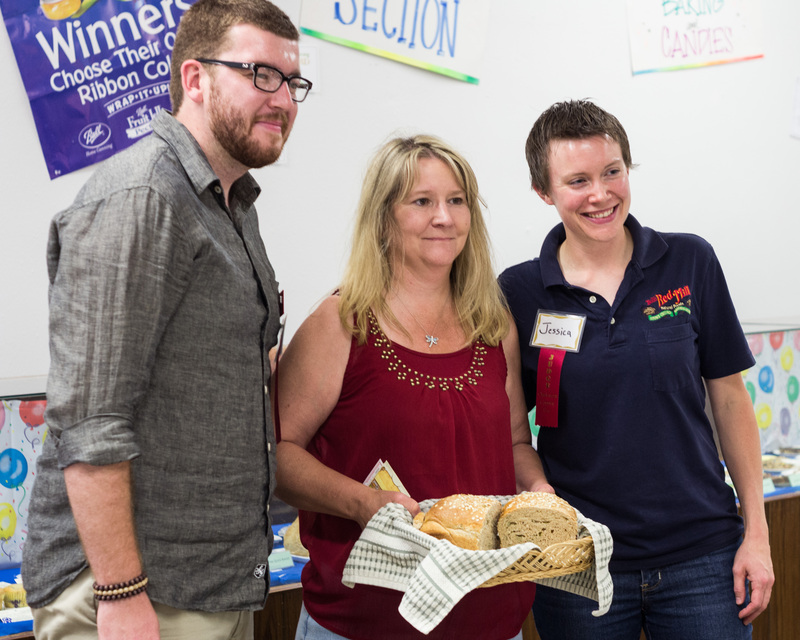 I was so excited winning first out of 21 different breads entered in the contest. Recipes had to use one of Bob’s Red Mill flours and any other Bob’s Red Mill product so that was the start of my Honey Wheat Oat Bread. 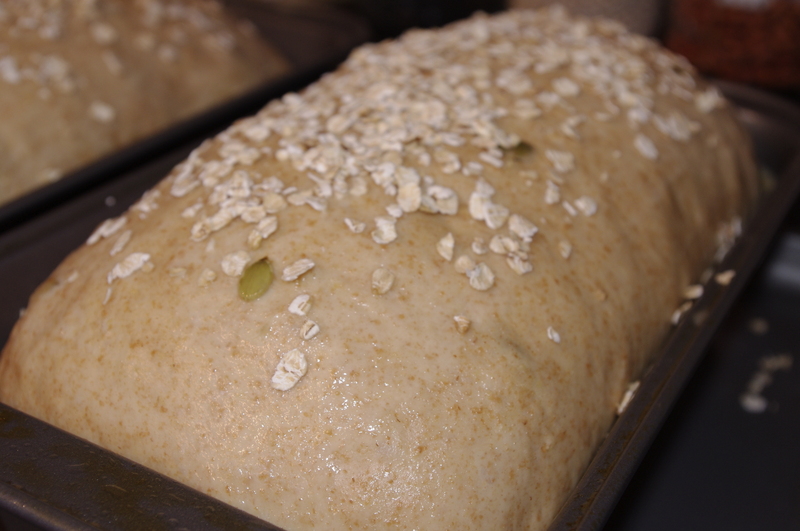 The special treats of raw pumpkin seeds, oats and wheat germ awaited the judges as they sliced the bread in half. Even though I also received a $100 gift card for Bob’s Red Mill (which I used one hour after the contest was over) my biggest prize was the Blue Ribbon! 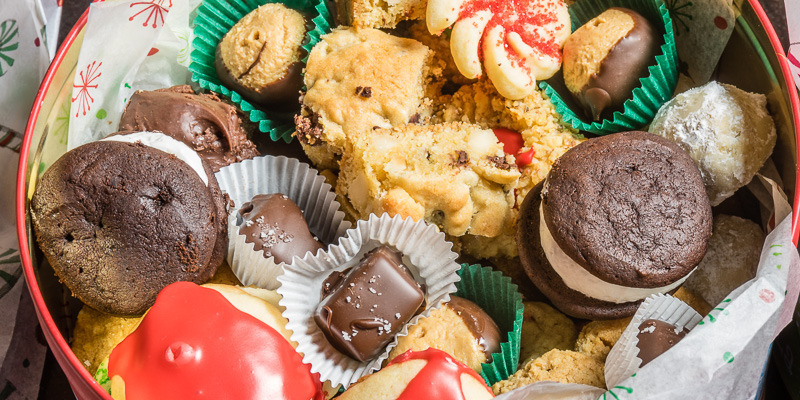 Dissolve yeast and sugar in 1/2 cup warm water, set aside for a few minutes. 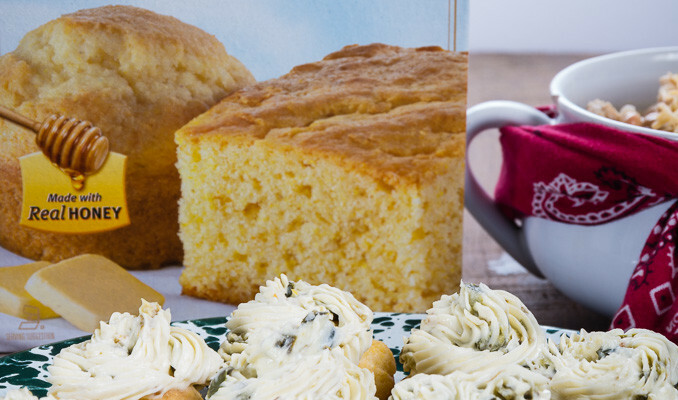 Combine milk, 1/4 cup water, butter, honey, salt and wheat flour in mixer bowl of a Kitchen Aid mixer. Mix in yeast mixture, and let rest 15 minutes. ( I place a towel over the bowl). Add bread flour, and process until dough forms a ball. You can leave in mixer on “2” mix for 8-10 minutes (add flour as needed if sticky) or hand knead for 10 minutes. (I prefer to hand knead and then you can feel if more flour is needed). Add in oats, wheat germ and pumpkin seeds. Place the dough in an oiled bowl, and turn to coat. Cover the bowl with plastic wrap. Let dough rise for 45 minutes, or until almost doubled. (I learn a trick from someone to turn your oven on to 400 for 1 minute and then turn off it works great) Place bowl in oven to rise. Do the same on the second rise too. Punch down, and divide dough in half. Roll out each half, and pound out the bubbles. Form into loaves, and place in buttered 9×5 inch bread pans. Cover loosely with plastic wrap. Let rise in a warm area (oven) until doubled; second rise should take about 30 minutes. Egg wash the top of each loaf and sprinkle on some oats. Place a small pan of water on the bottom shelf of the oven. Preheat oven to 350 degrees. Bake for 25 to 35 minutes, or until tops are dark golden brown. Slice when cool.